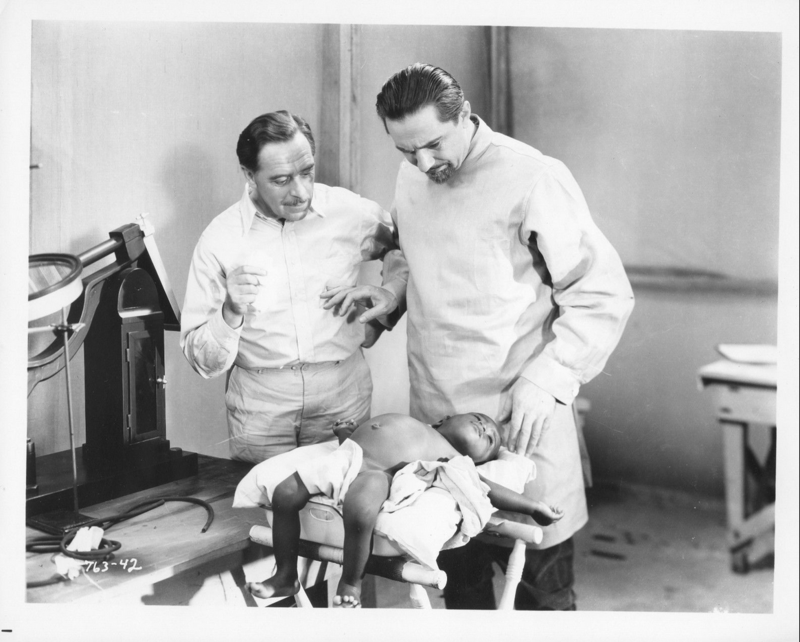 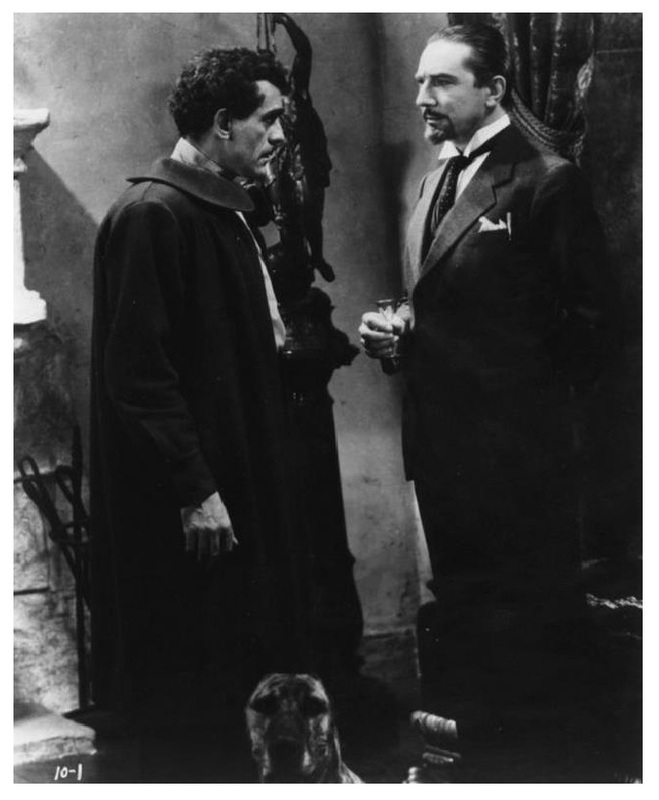 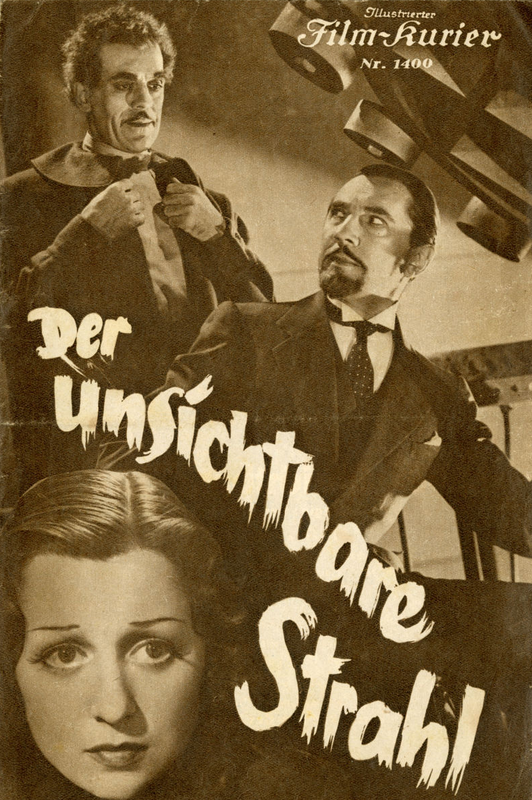 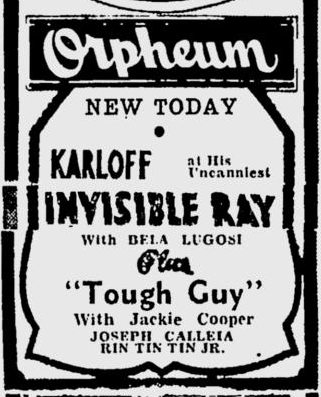 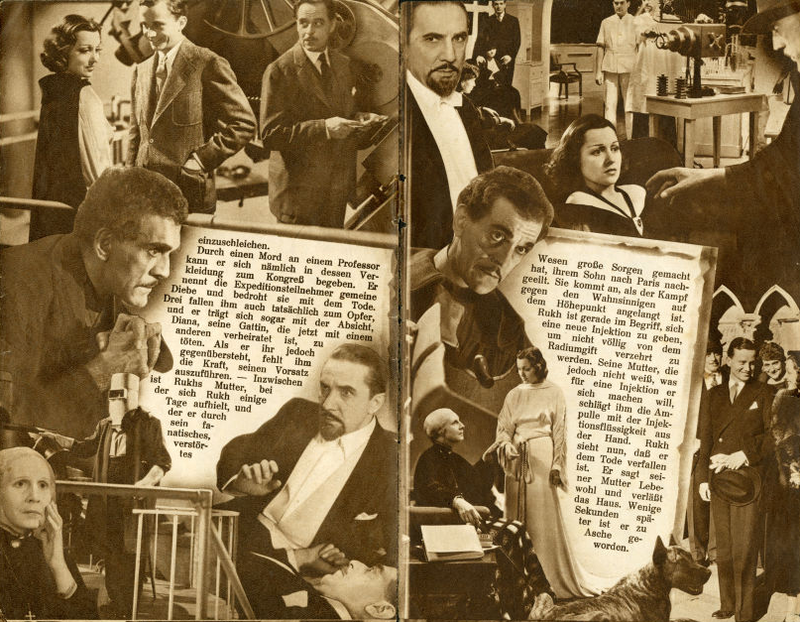 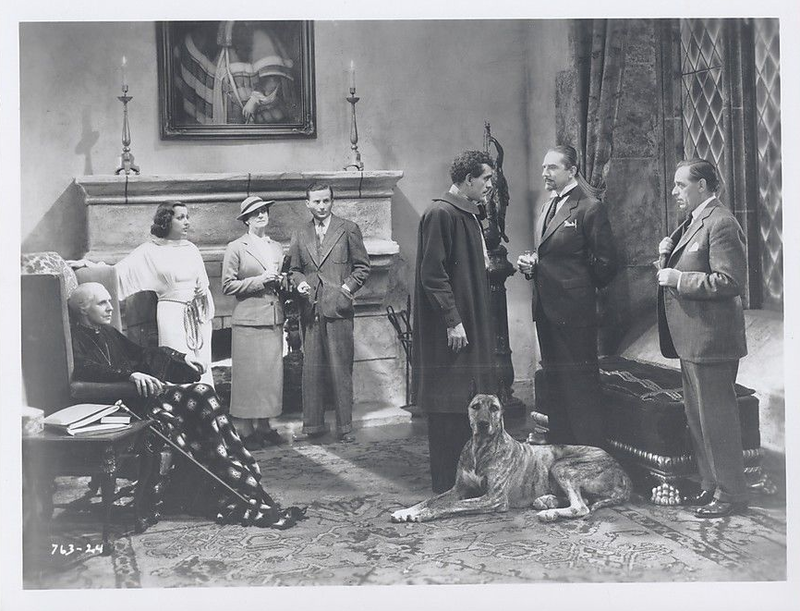 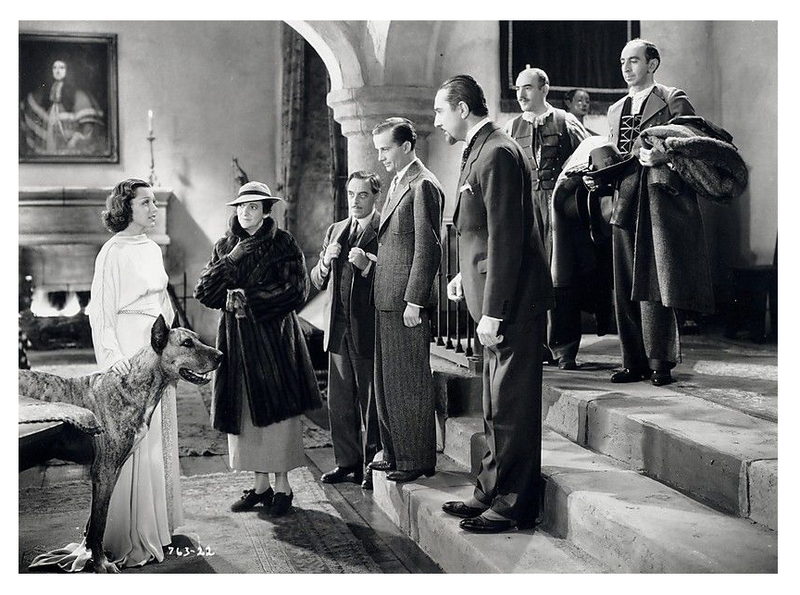 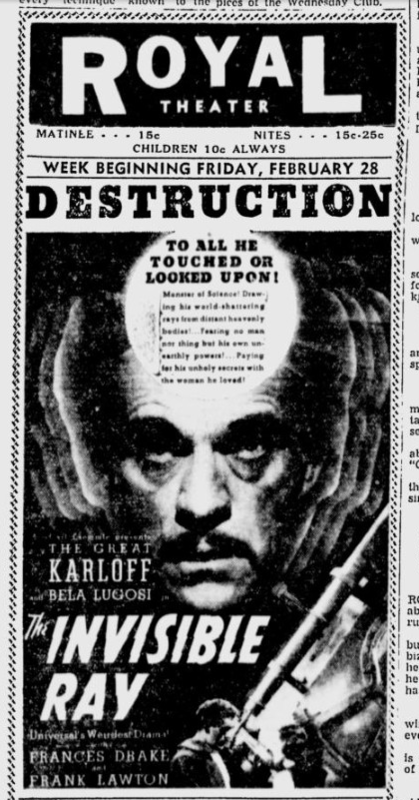 Universal’s third star teaming of Bela Lugosi and Boris Karloff, they also had cameos in 1934’s Gift of Gab, played up the scientific aspect rather than horror in the wake of a back lash against extreme Hollywood output, including both gangster and horror films. 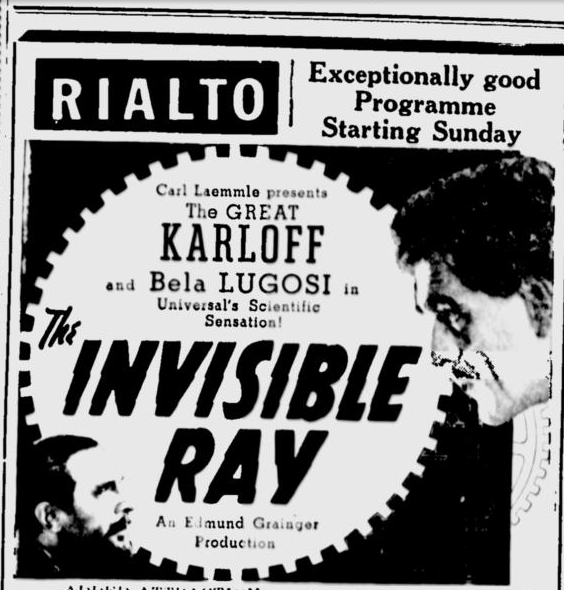 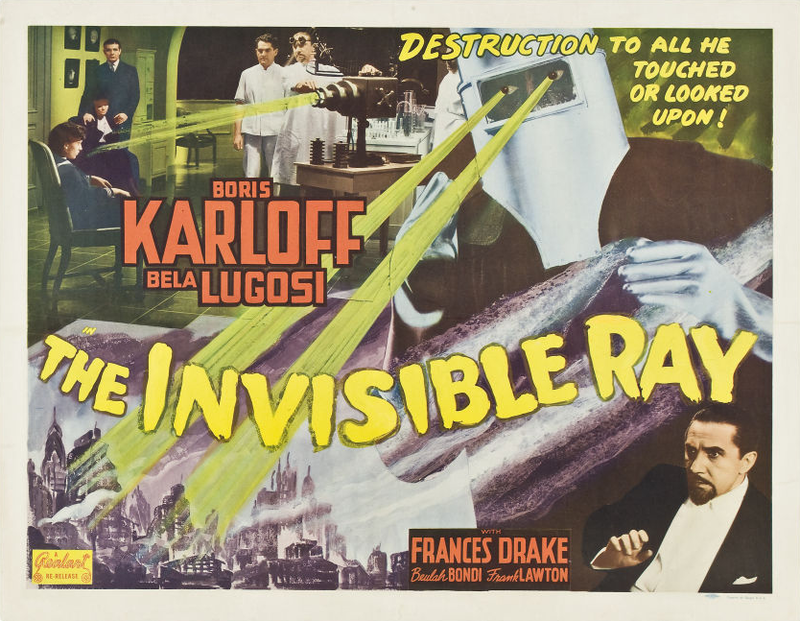 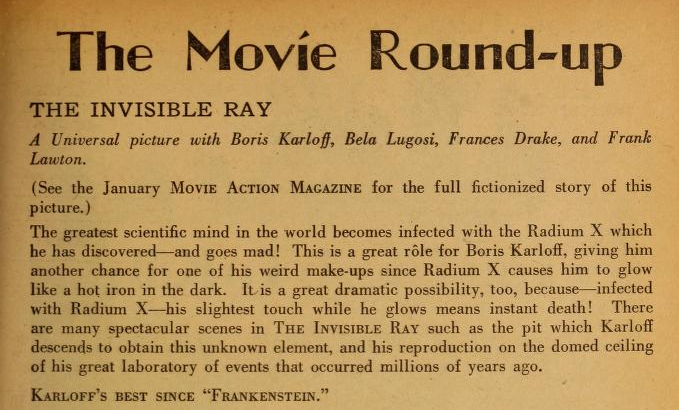 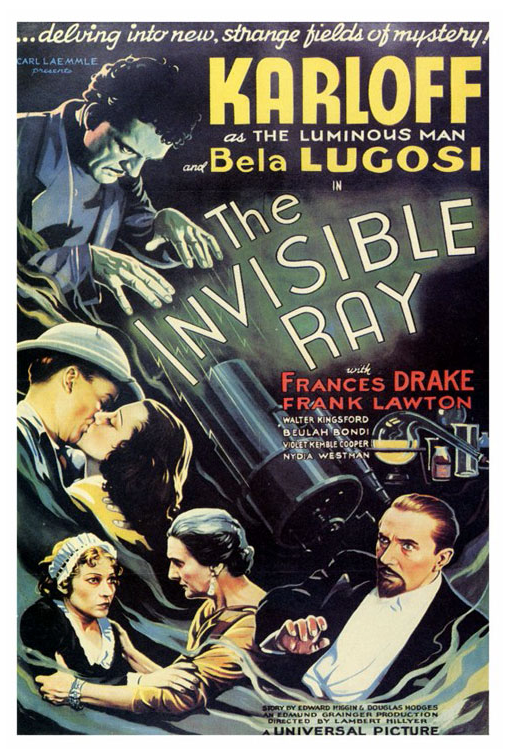 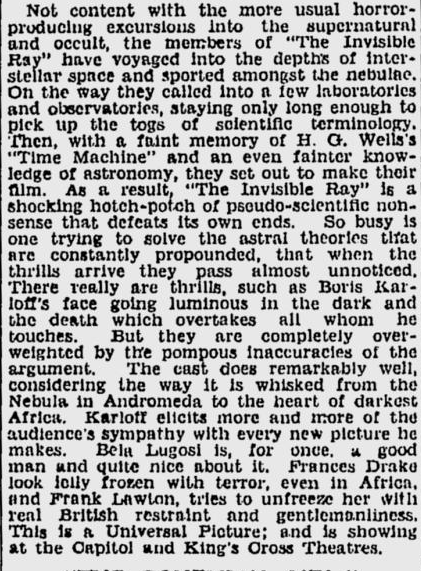 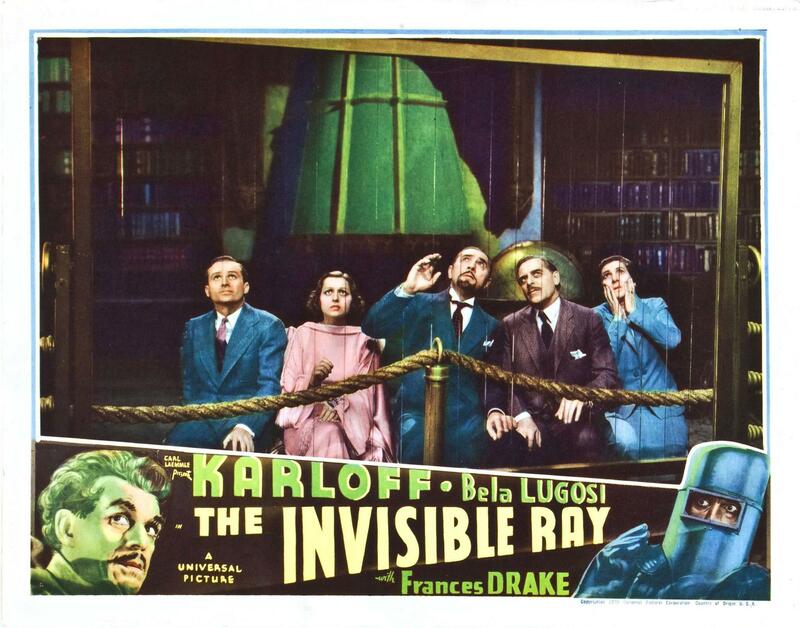 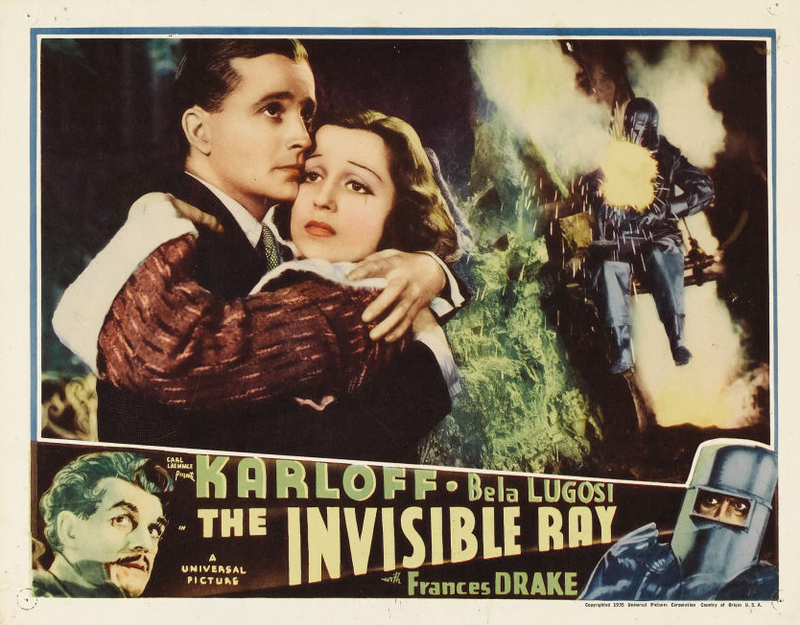 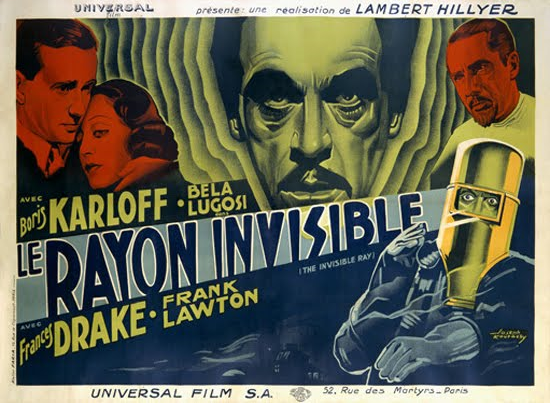 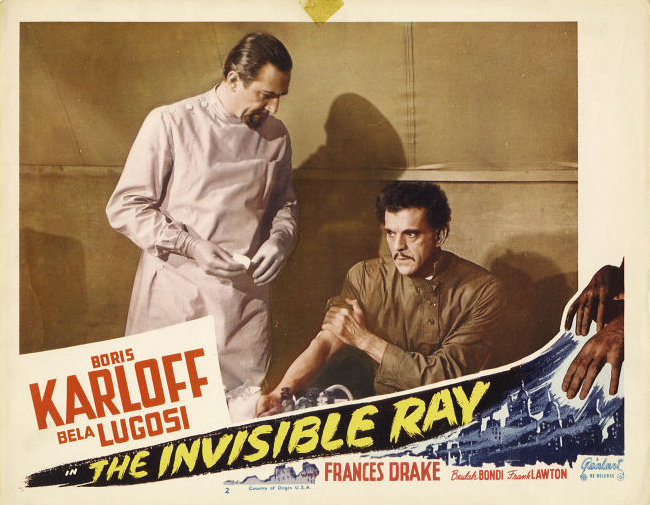 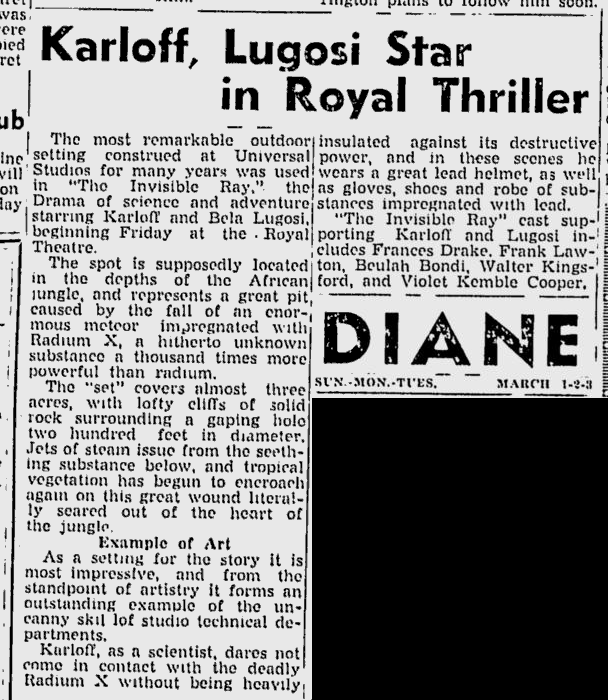 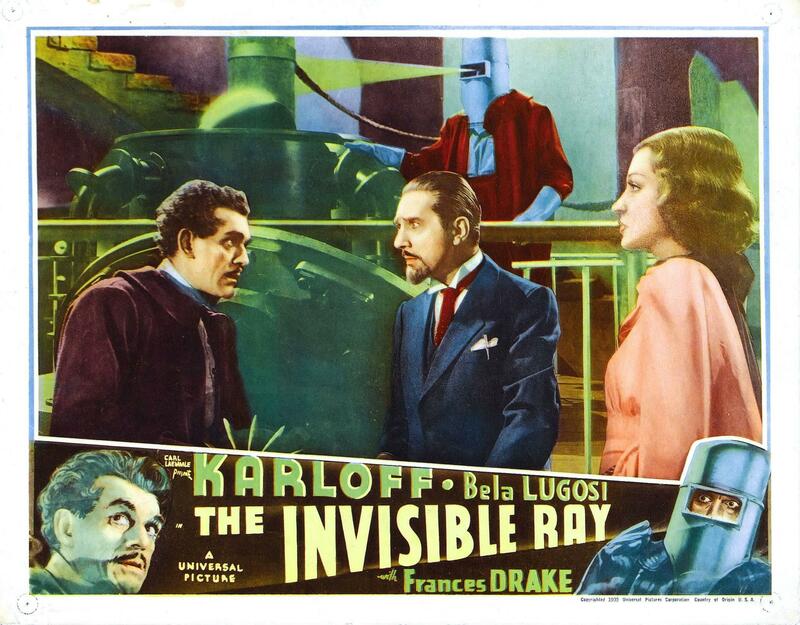 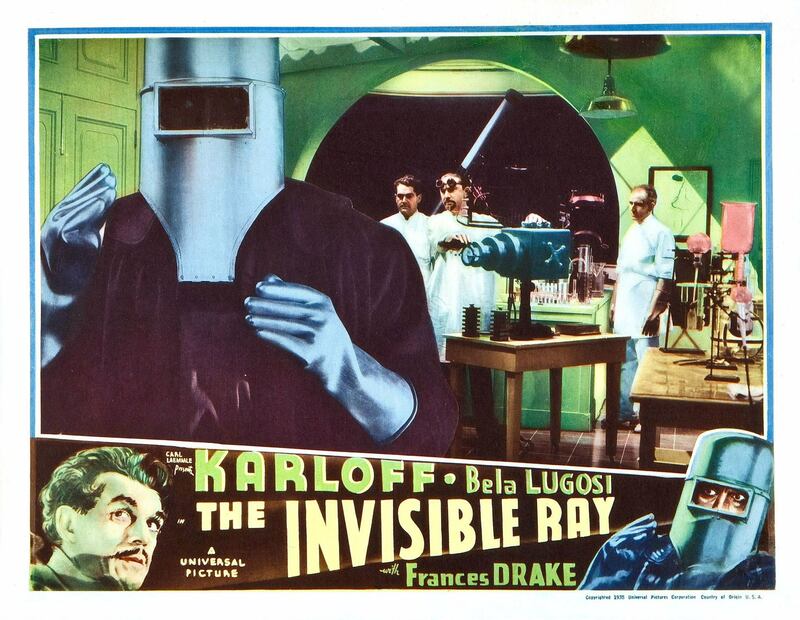 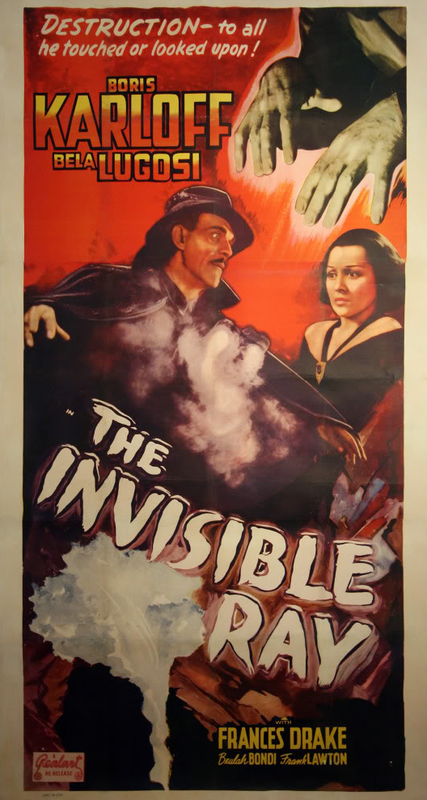 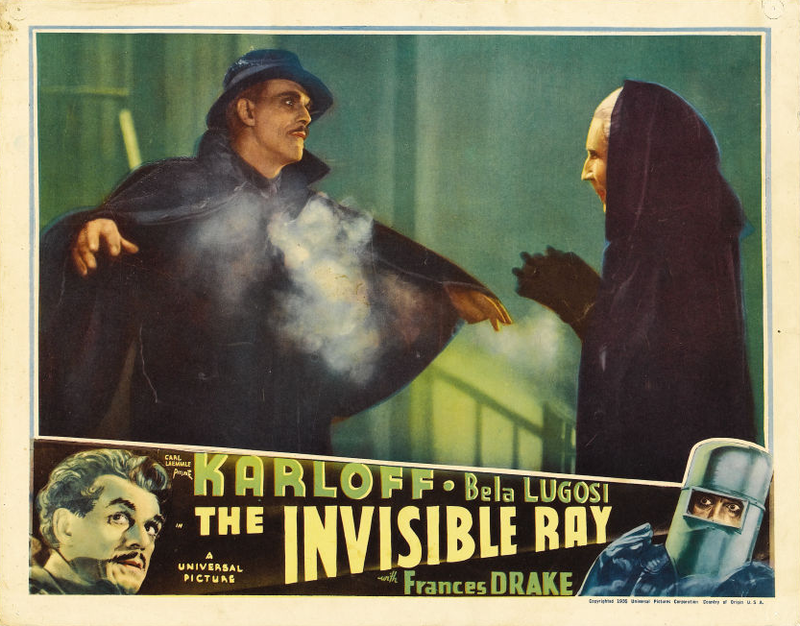 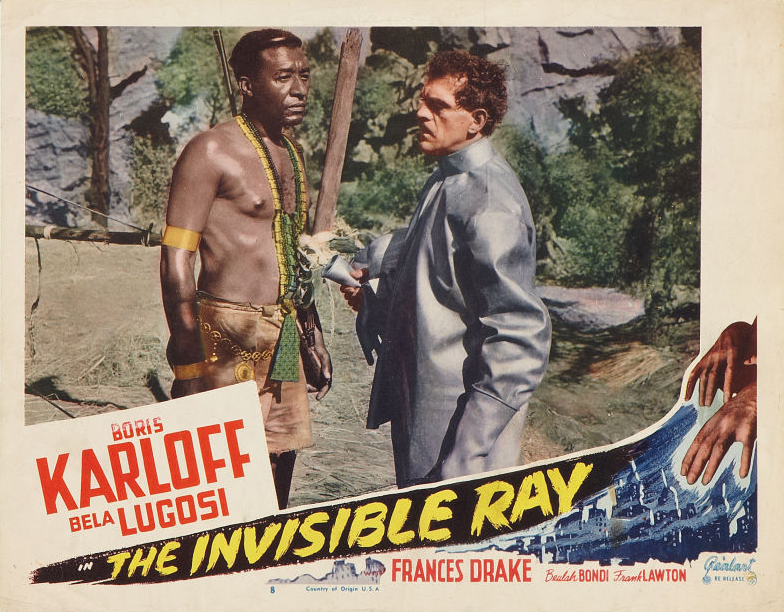 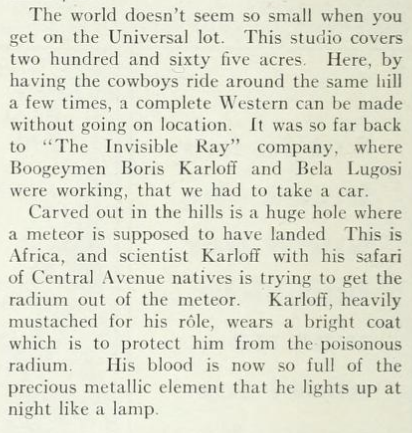 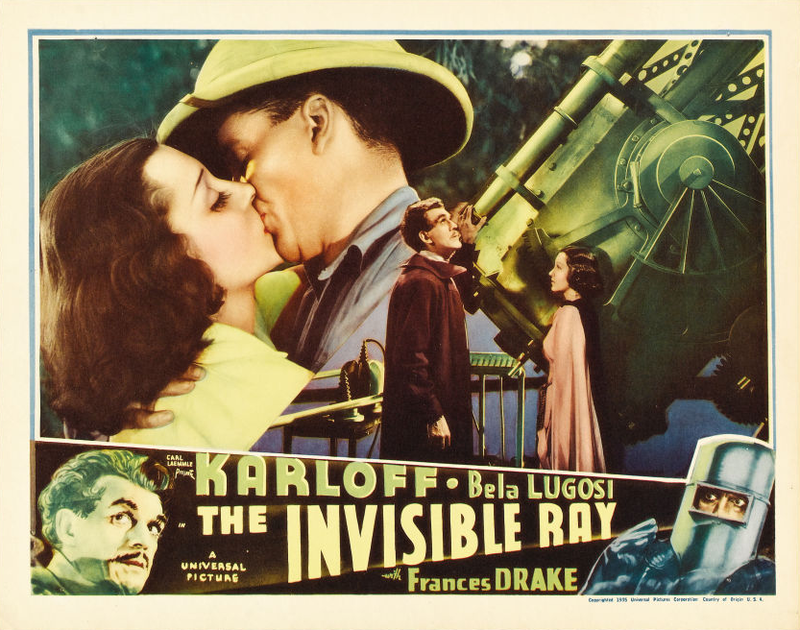 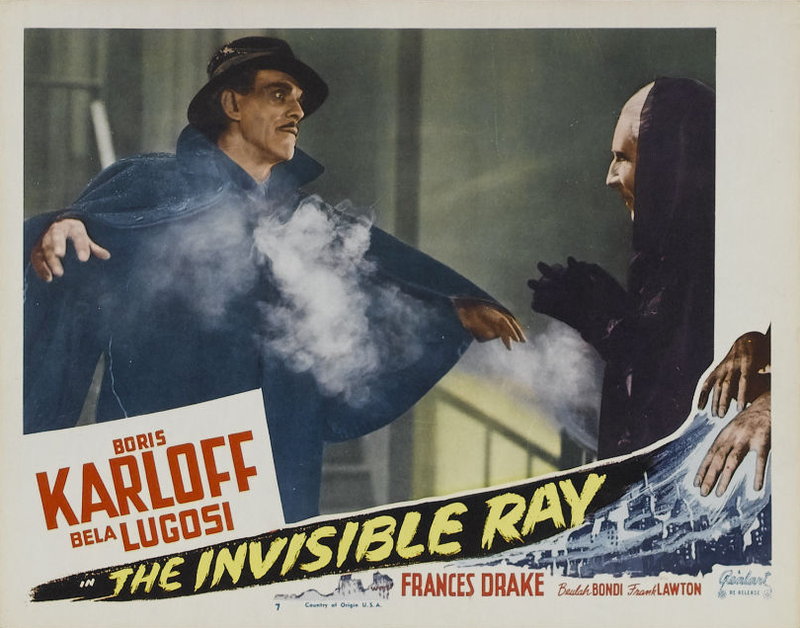 For once, Lugosi was cast in a non-villainous role as a good scientist pitted against Karloff’s noble man of science driven insane by exposure to a radioactive substance brought to earth by a meteorite. 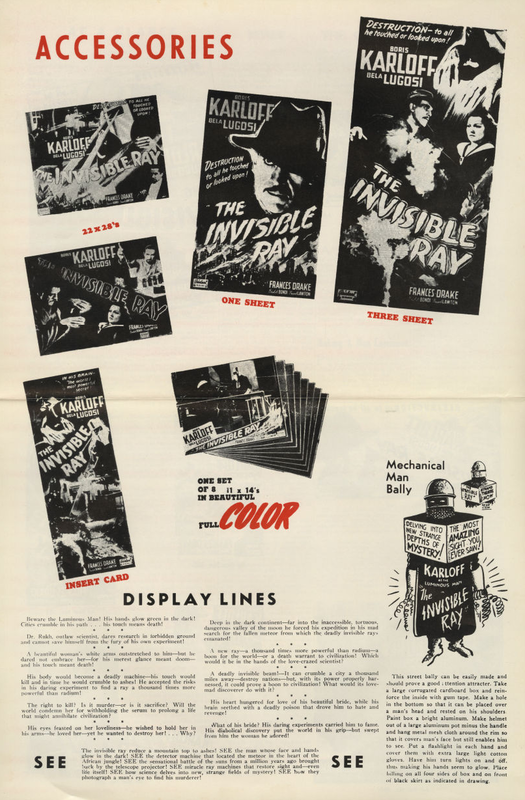 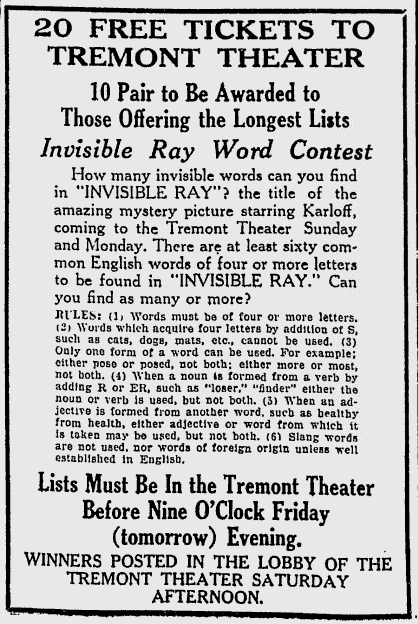 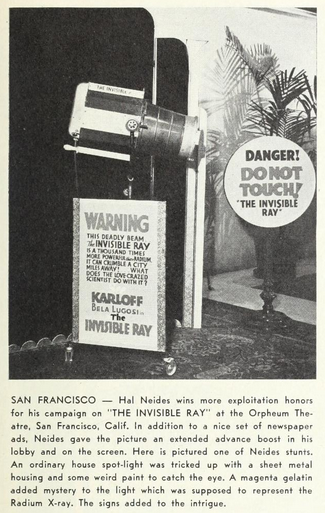 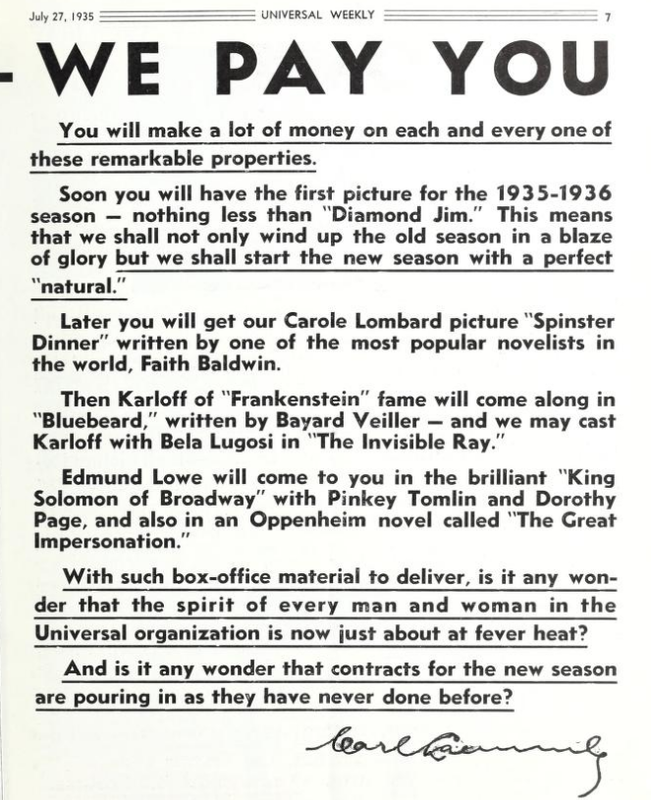 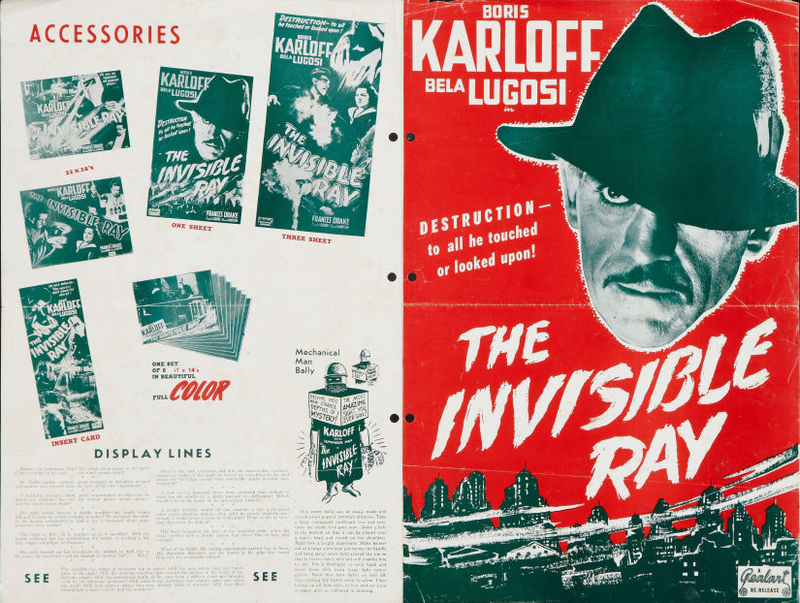 During pre-production the film had several proposed titles – The Shining Spectre, Ghoul of Piccadilly and The Death Ray. 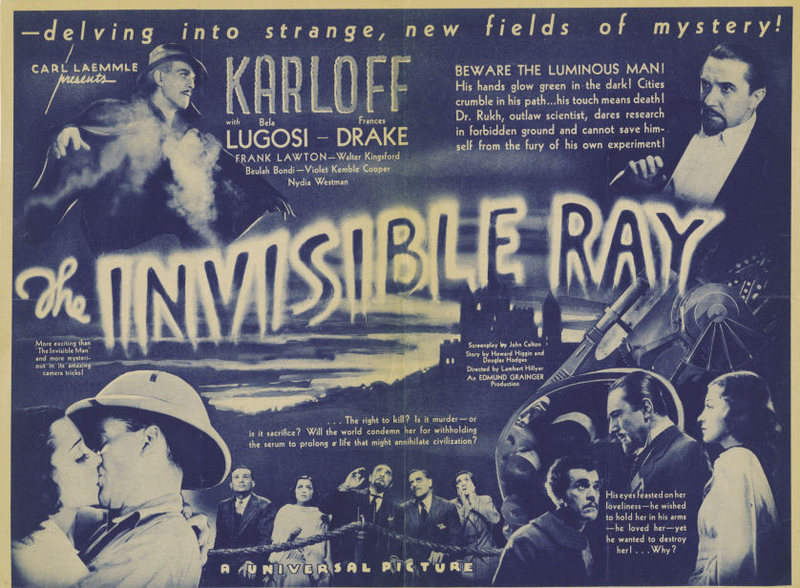 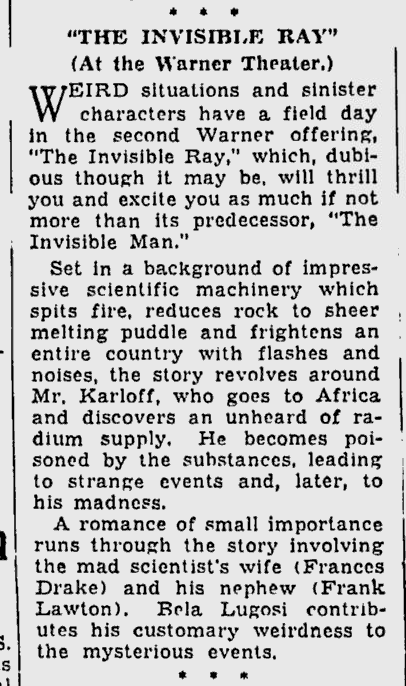 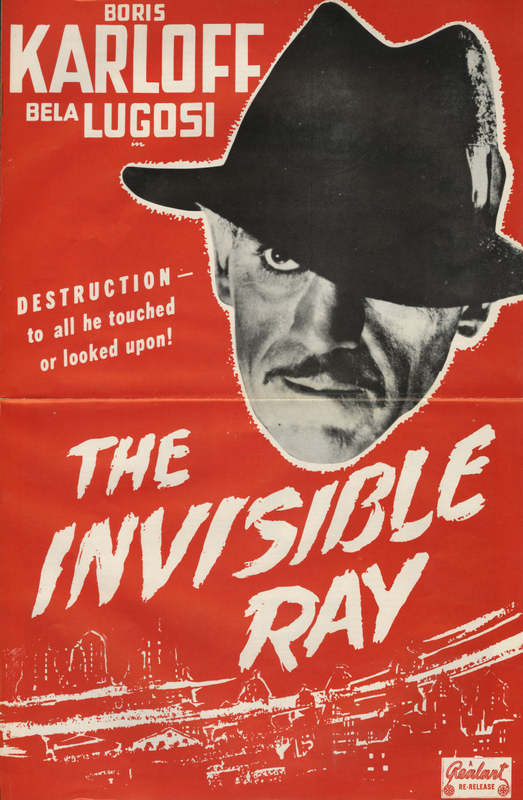 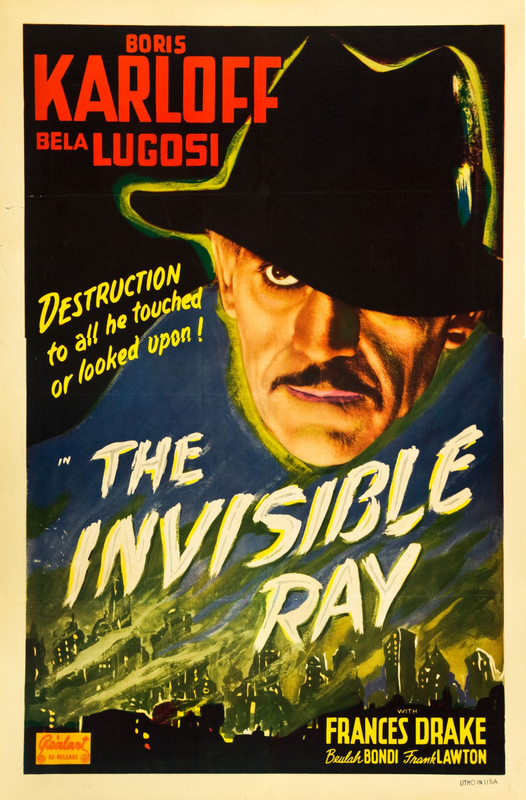 John Colton has been assigned by Universal to adapt “The Invisible Ray,” by Howard Higgin and Douglas Hodge. 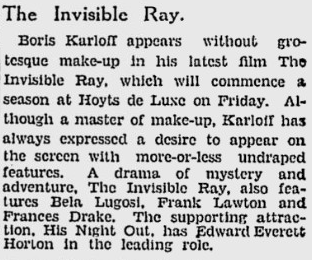 The two principal roles will be assigned in all probability to Karloff and Bela Lugosi. 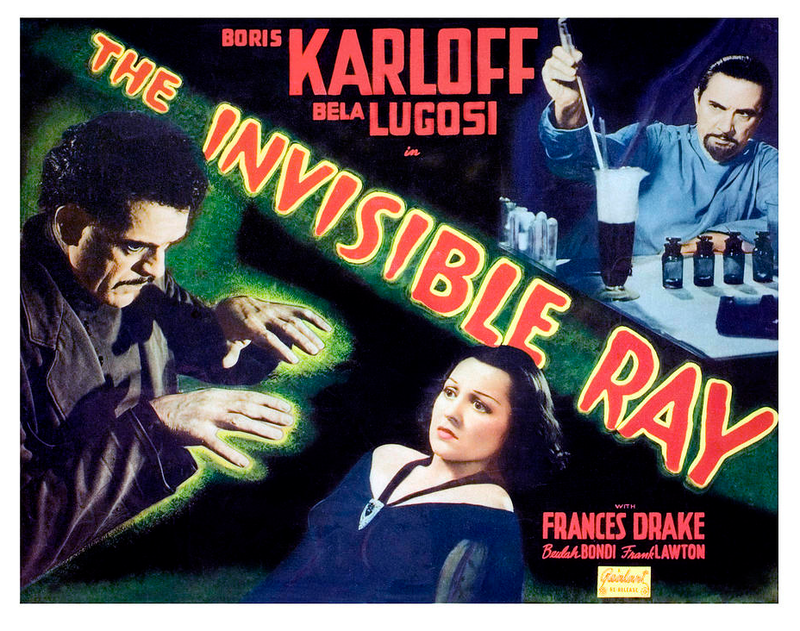 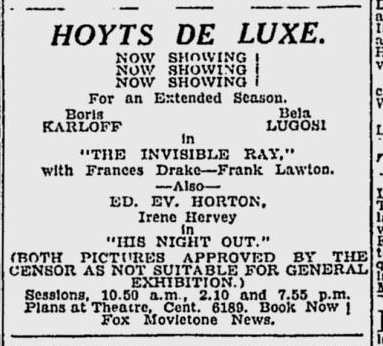 More than any other screen stars, Karloff and Bela Lugosi are so indelibly associated with certain characters that Karloof has been nicknamed “Frankenstein” and Lugosi “Dracula.” Both these players come to the State theatre on Thursday as co-stars in “The Invisible Ray,” thrilling drama of the man who drew power from the heavens in his world-shaking invention, “Radium X,” and wielded his power for good and for evil. 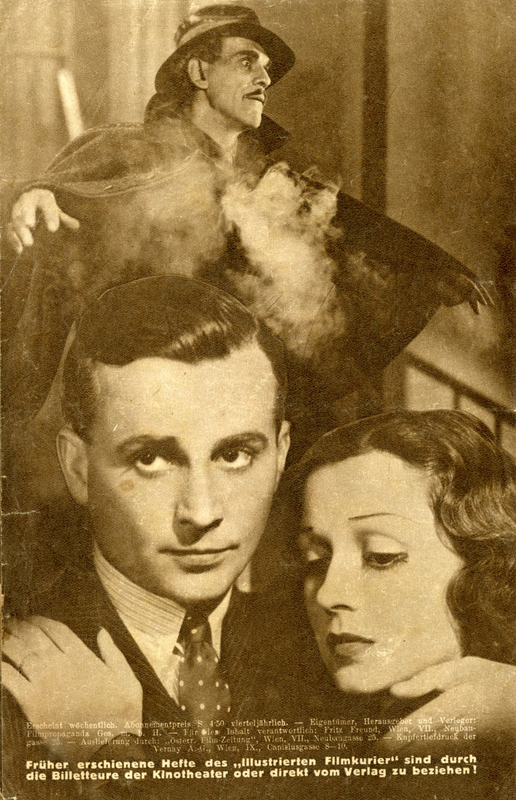 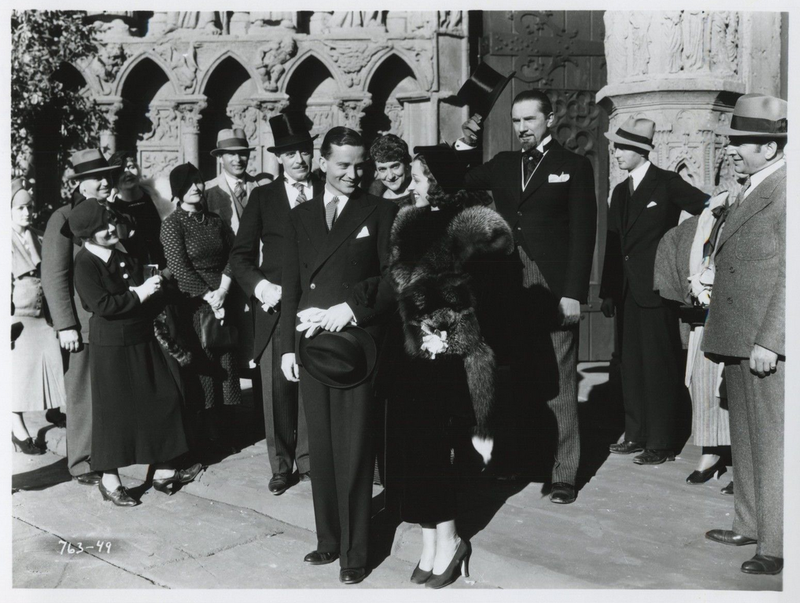 Frances Drake and Frank Lawton support the stars. 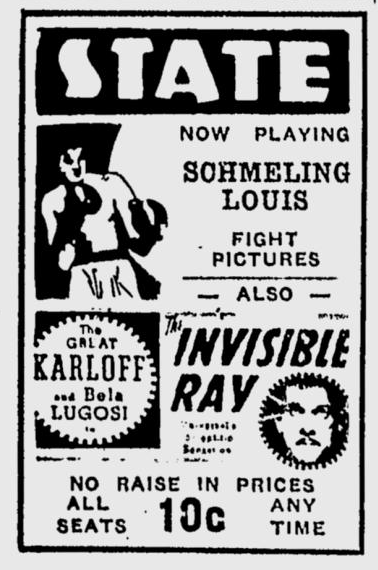 The Louis-Schmelling fight pictures round out the program. 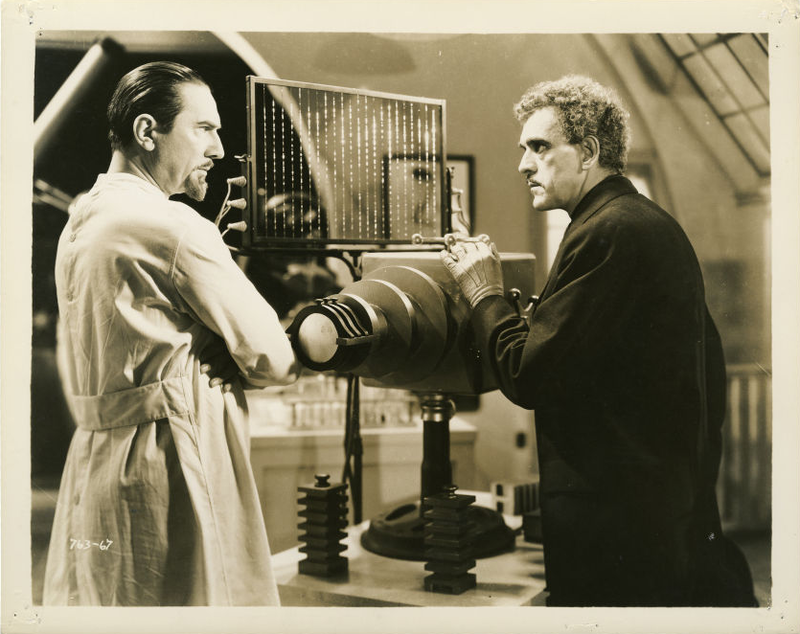 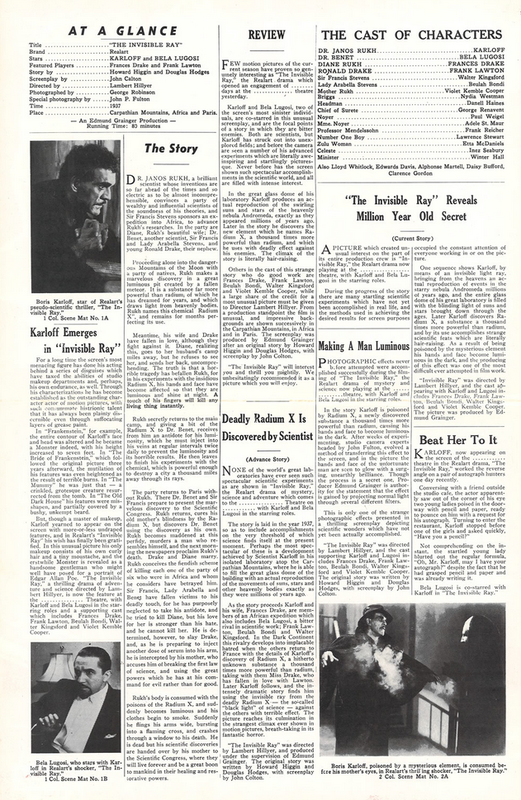 The Shiver and Shake Boys, Karloff and Bela Lugosi, combine their talents in this de-horrorized (by comparison with previous efforts) story of a scientist who discovers a new element astounding in its abilities to both heal and destroy. 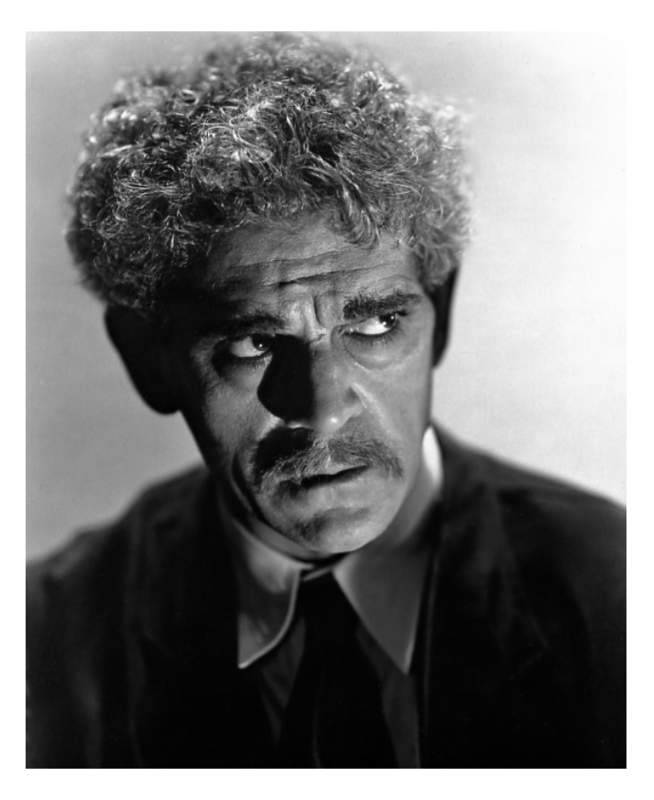 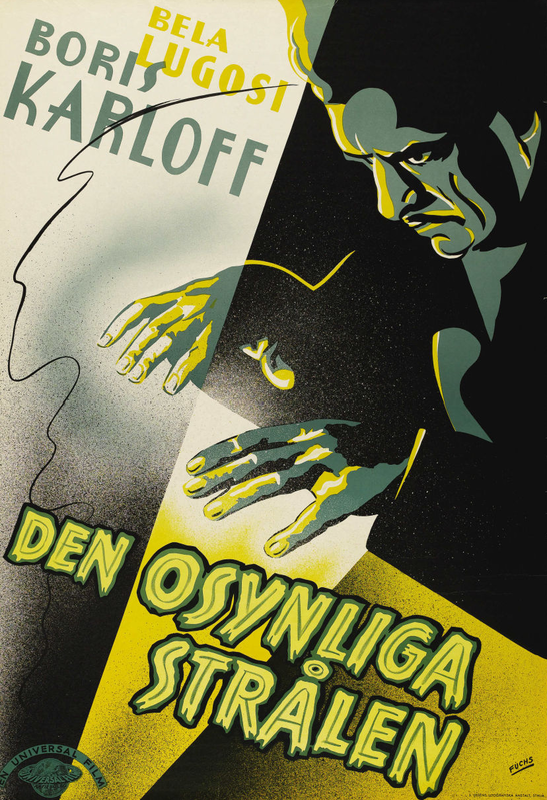 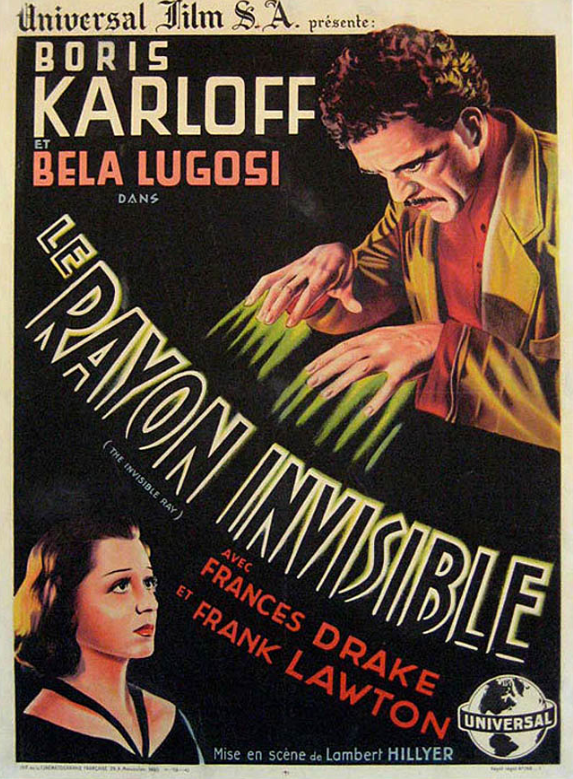 Poisoned by it so that his lightest touch is instant death, Karloff goes mad, eventually destroying himself. 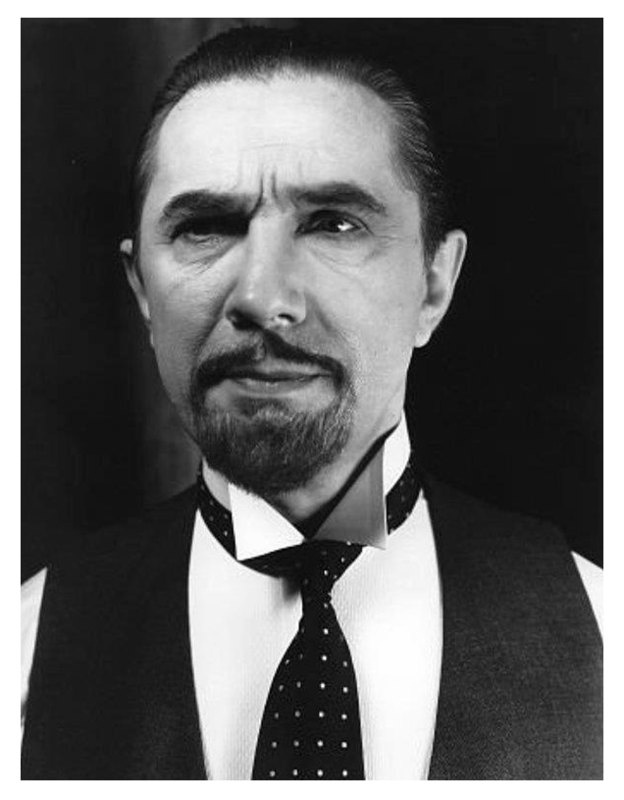 Lugosi is the hero this time.